Terence Crawford says he's focused on Amir Khan, but wants the fights that will prove he is the best at 147 pounds. It’s always good news for boxing when TMZ has a boxing story and it doesn’t involve Adrien Broner. 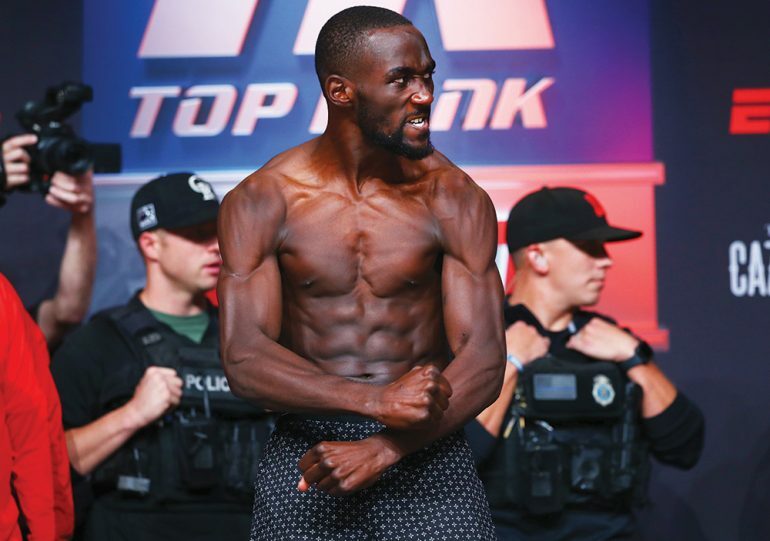 Terence Crawford chatted with TMZ and the news-gossip site asked him about his future plans. He said yes, he really wants to match up with Errol Spence, the Texas based welterweight who handled Mikey Garcia with ease on FOX PPV. No bad news, no hijinks featuring AB…or the like. That’s good news! Back to Crawford, who gloves up April 20 at Madison Square Garden. No, I haven’t come across anyone who is picking Amir Khan to pull off what would be the Upset of the Year. But Khan always makes for interesting fights, he gives people their money’s worth, because you figure either his chin or the other guys’ is getting checked. He said that is the biggest fight that can be made in boxing, bigger than Deontay Wilder vs Anthony Joshua. Those two are 1B, and him and Errol is 1A. “I feel confident matching up with anybody,” the Nebraskan said. He ticked off all the traits in his arsenal, and said some others out there are not as versatile as he. Now, should we be getting ourselves excited for the prospect of seeing Spence, who needs a dance partner, versus Crawford, who will be looking for a partner on April 21? Short answer: I’d caution against that. One reason I say that is I get the sense that Arum and Haymon aren’t in a place that encourages finding common ground. And yes, common ground would have to be found. Even before money, what about on what platform are we going to watch Crawford vs. Spence? Well, a pay per view platform, of course. But for this fight, could Arum and Haymon divvy up, as was done for Mayweather vs Pacquiao, a division of labor? You know what, I write that, I find myself thinking, yeah, they could, probably. Because they have before. But right now? 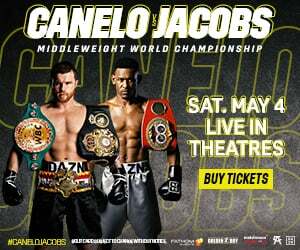 April 20th, as you probably know, is a busy night, because Crawford meets Khan on a PPV event…AND, over on FOX, PBC counter-programs with Danny Garcia vs. Adrian Granados. How much will that freebie cut into the sales for Crawford-Khan. Some, maybe more than some. That is sensible…but fight fans want to know how to handle the juggling, if they choose to. Same goes for media. Anyway, back to the original subject at hand. Crawford vs. Spence….When might you see that? Crawford’s promoter Bob Arum has in the last few weeks sounded warm to the concept. Will that warmth be received similarly on the PBC side? They have the makings of a 147 round robin within their “league” frame-work, so there seems to be less impetus for them to go inter-league. However, things can change that element of the dynamic if two things happen: fans rally up to demand to see it. And the two fighters do the same. My friend Ron Borges always points this out; the fighters have more control over their fate, especially on occasions where we the fans are craving the best to fight the best. The fighters can shape the debate and help get such a super fight to the finish line. Me, I say no to marinating, don’t make us wait, smile on your brother, deal-makers, coalesce the fight that yes, might be the most compelling on paper super fight in the sport today. Woods writes, and also does blow by blow on the Facebook Fightnight Live series.